Will Paolo Ballesteros be part of Die Beautiful The Musical? 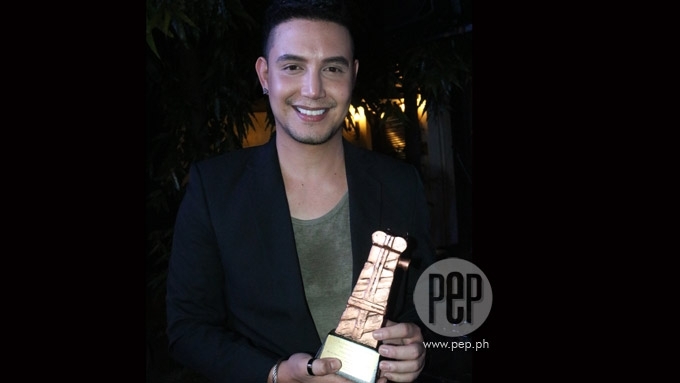 Paolo Ballesteros says it is his dream to be part of a theatrical production. "Gusto kong maging active sa isang musical. Para total performance talaga—kakanta, sasayaw, aarte." After Paolo Ballesteros made a big splash in his first starring role in Die Beautiful, the 2016 transgender dramedy for which he won awards locally and internationally, the actor-TV host keeps his options open for his next move. “Makikipag-meeting pa lang kami,” said the recipient of the Best Actor Award at the 2016 Metro Manila Film Festival (MMFF) and the 29th Tokyo International Film Festival in Japan as well as the special jury award for outstanding performance at the 21st International Film Festival of Kerala in India. He also doesn’t know if he’ll do something similar or different from Die Beautiful. Paolo talked to this writer at the Film Ambassadors Night 2017, an event organized by the Film Development Council of the Philippines (FDCP) in recognition of industry people whose works had been recognized abroad. The Film Ambassadors Night 2017 was held at the FDCP Cinematheque Open Grounds on Kalaw St., Manila, and attended by Gloria Sevilla and her daughter Suzette Ranillo, Cesar Montano, and Die Beautiful director Jun Lana and actor Christian Bables. Paolo let out a loud laugh when told about an idea for a sequel that has been suggested by Die Beautiful fans on social media. That idea involves his character, Tricia Echeverria, a gay pageant winner who meets an untimely death, coming back from the grave to haunt her best friend Barbs (played by Christian Bables); thus the sequel’s title: Patayin sa Sindak si Barbs. “It’s up to Direk,” he added, referring to Direk Jun Lana. DIE BEAUTIFUL THE MUSICAL. Direk Jun, in a separate interview also at the event, likewise expressed delight in the fans’ imaginative thinking. What’s definitely in the offing, according to the internationally recognized director, is the stage adaptation of 2016 MMFF’s top grossing movie. In fact, he added, he has talked to Rody Vera, the movie’s scriptwriter who’s also a noted playwright of such works as Rak of Aegis and Kung Paano Ko Pinatay si Diana Ross. “Excited kami do’n sa prospect,” he said about the theater version of Die Beautiful. The cast, though, may or may not include the actors from the movie, specifically Paolo and Christian, who won Best Actor and Best Supporting Actor, respectively, at the MMFF. As for Paolo, the actor and Eat Bulaga! co-host couldn’t hide his excitement for the onstage version of his big-screen starrer. “Oo, puwede, go!” he beamed. He also gave a loud sigh at the thought of working out his schedule to accommodate the rehearsals. But he looked determined to be in a musical.